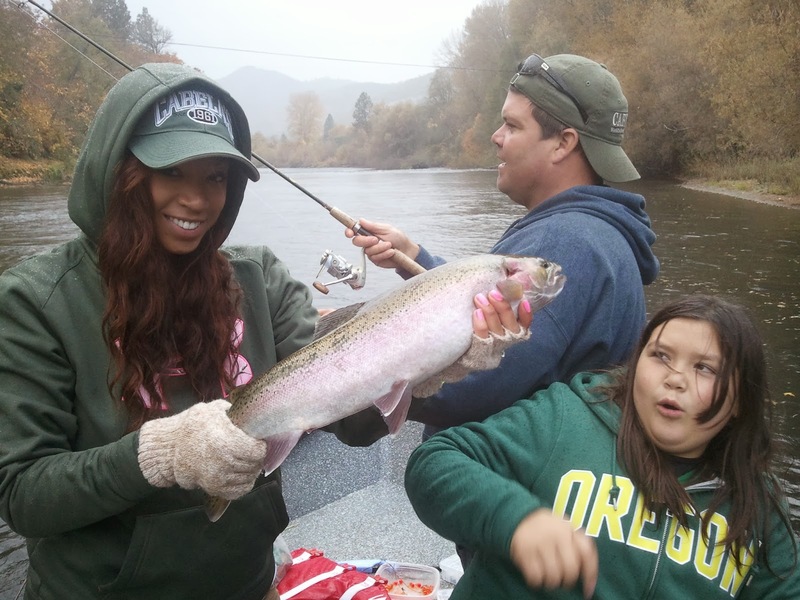 Due to fly-only restrictions on the upper Rogue River above Fishers' Ferry Boat Ramp, Slate, Aja and Emma decided to fish near the town of Gold Hill, Oregon so we could throw bait. It paid off when Aja hooked and fought this nice native hen to the net. We took a quick photo and released her! Anglers will be able to go back to fishing artificial lures such as plugs above Fishers' Ferry Boat Ramp starting November 1st; this day also marks the bait fishing opener above Shady Cove Bridge. 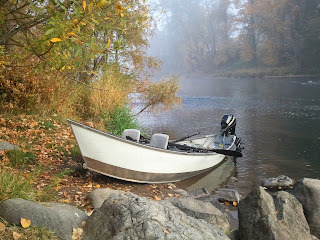 These strict regulations were put in place to allow the Fall Salmon in the upper Rogue River to spawn in peace and not be by-catch of steelhead anglers who like to use roe and run plugs.